The basic mission of Psychological Issues is to contribute to the further development of psychoanalysis as a science, as a respected scholarly enterprise, as a theory of human behavior, and as a therapeutic method. Over the past 50 years, the series has focused on fundamental aspects and foundations of psychoanalytic theory and clinical practice, as well as on work in related disciplines relevant to psychoanalysis. Psychological Issues does not aim to represent or promote a particular point of view. The contributions cover broad and integrative topics of vital interest to all psychoanalysts as well as to colleagues in related disciplines. They cut across particular schools of thought and tackle key issues, such as the philosophical underpinnings of psychoanalysis, psychoanalytic theories of motivation, conceptions of therapeutic action, the nature of unconscious mental functioning, psychoanalysis and social issues, and reports of original empirical research relevant to psychoanalysis. 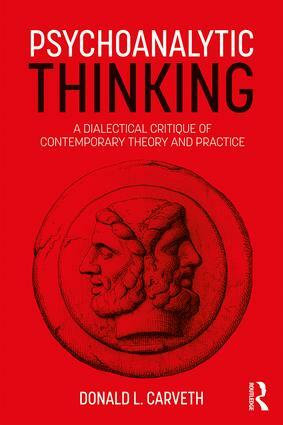 The authors often take a critical stance toward theories and offer a careful theoretical analysis and conceptual clarification of the complexities of theories and their clinical implications, drawing upon relevant empirical findings from psychoanalytic research as well as from research in related fields. The Editorial Board continues to invite contributions from social/behavioral sciences such as anthropology and sociology, from biologcal sciences such as physiology and the various brain sciences, and from scholarly humanistic disciplines such as philosophy, law, and ethics.